Joseph Nicholson Johnston, later working professionally as J Nicholson Johnston, was born on 22 March 1860 at Marylebone, London, Middlesex and baptised on 21 October 1860 at St Mary's church, Marylebone. He was youngest of the three children of of commercial traveller in silks Joseph Simpson Johnston (1822-1865) and Eliza Anne née Bishop (1828-1916), originally from Long Load, Somerset. Joseph trained as an architect and in the 1891 census, aged 31 and single, he was staying as a visitor in the large Bourne Hall Hotel, Branksome, Bournemouth, Hampshire. He gave his occupation as an architect. 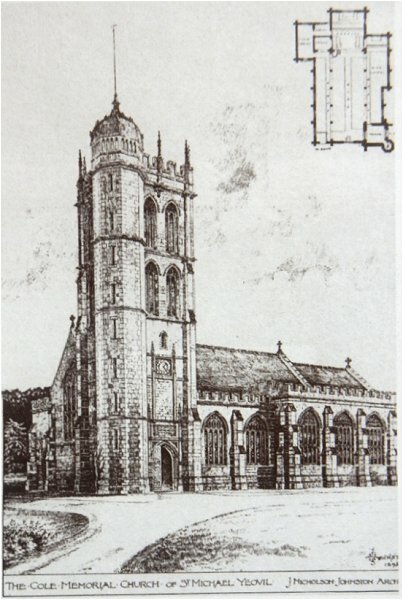 He had moved to Yeovil by late 1891, at which time he was commissioned to draw up the plans and specifications for the restoration of the tower of St John's church. 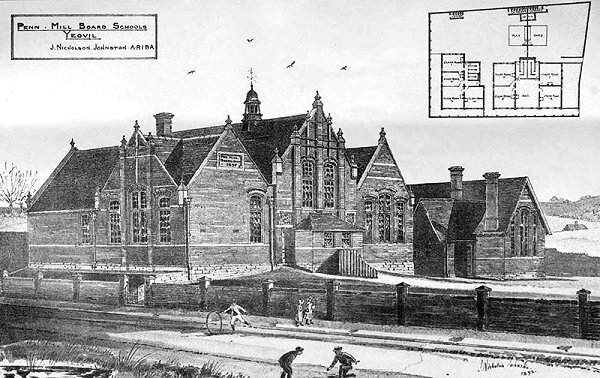 In 1893 Joseph was commissioned to design and supervise alterations to the Congregational School in Clarence Street. Another commission of this year was to design and supervise the building of the new Masonic Hall in Hendford. At this time his architectural practice was located in 21 Princes Street. 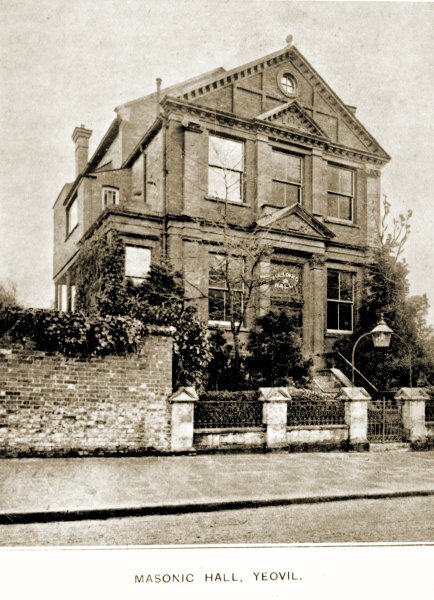 The foundation stone of the new Masonic Hall was laid on 14 May 1894 and the Lodge held its first regular meeting in the new hall on 4 December 1894. 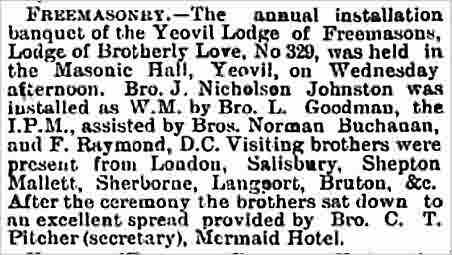 On 10 January 1894, at the age of 33, Joseph was initiated into the Lodge of Brotherly Love of Yeovil Freemasons. 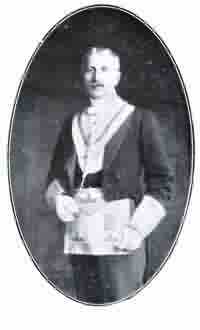 He became Worshipful Master in 1906. In 1894 Joseph designed and supervised the building of Pen Mill Board School and two years later he was the architect responsible for additional school buildings in North Street, Crewkerne. During the autumn of 1895, at Hampstead, Middlesex, Joseph married Constance Marion Watts (1872-1955), thirteen years his junior and youngest of the five children of Henry Shorland Watts (1833-1889) and Elizabeth née Moore (1833-1889). (Henry Shorland Watts was the son of Yeovil solicitor Henry Marsh Watts)). Joseph and Constance set up home at 'Verona', West Park. They were to have one daughter, Phyllis Marion (1897-1970). In 1896 Joseph designed and supervised the building of St Michael and All Angel's church in Brickyard Lane (today's St Michael's Avenue), which was completed in 1897. The 1901 census saw the family still living at 'Verona', West Park, together with a cook, nurse and housemaid. It was the same situation in 1911 but with just a cook and a housemaid. Joseph Nicholson Johnston died in Yeovil in 1942, aged 82. Constance died in Taunton on 30 April 1955, aged 83. The entry of Joseph's baptism in the St Marylebone parish register. 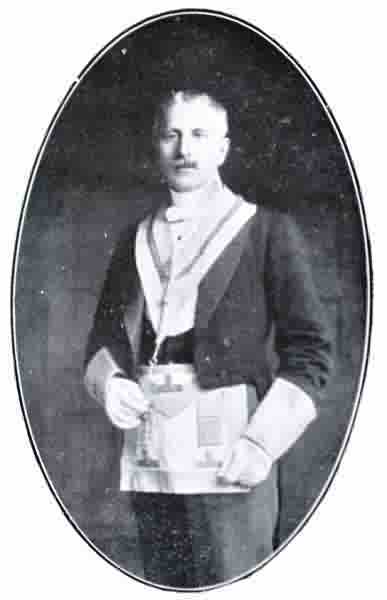 Joseph Nicholson Johnston in his Worshipful Master's Masonic regalia. Photographed in 1910. The Masonic Hall in Hendford, designed by Bro. J Nicholson Johnston in 1893, it was completed by December 1894. Photographed in 1910. Joseph's perspective drawing of the new Pen Mill Board School, from the 29 June 1989 edition of The Building News. The announcement of the new contract to build St Michael's church in the 10 May 1895 edition of the Western Gazette. An account of the installation of Joseph as Worshipful Master of the Lodge of Brotherly Love from the 12 January 1906 edition of the Western Chronicle. And finally, the long debate that continues to this day on Facebook about demolishing the buildings in front of St John's church in order to open up the view is nothing new. It was frequently discussed during Victorian times and the following article is from the Western Gazette's edition of 26 May 1911. One of the schemes brought forward in Yeovil to mark the celebration of the Coronation of King George V, and which is held in very popular favour, is the purchase and the demolition of the two business houses in the centre of the Borough, now occupied by Mr John Hayne and Mr Redwood. 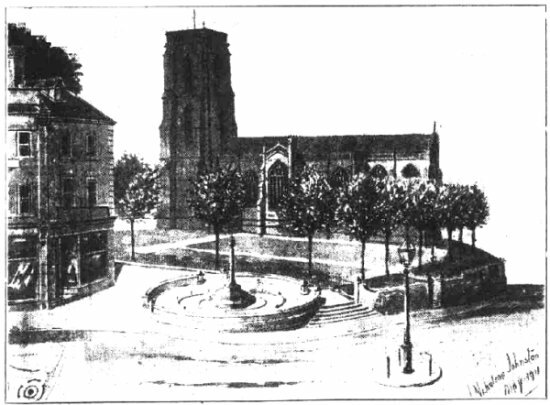 The illustration below is a photograph of a rough diagram drawing of the Church as it would be seen from the centre of the Borough after the removal of the houses. It was drawn by Mr J Nicholson Johnston, architect and surveyor of Yeovil, who suggests (as will be seen from the drawing) the erection of a market cross as a central figure. This, of course, should the scheme mature, would be open to further consideration. It should be added that several handsome contributions have been offered to carry out the scheme, one townsman expressing his willingness to give 150 guineas, another £200, and a third £100, with several £50 offers. The carrying out of the scheme, it is estimated, will cost from £3,000 to £4,000. (£2 million to £3 million at today's value).